Happy Pets delivers a variety of cat services. With our personalized house calls, your cats can stay in their own place and will be much happier. We feed fresh food, refill all water bowls, and maintain the litter box. We follow your directions to the letter. We also administer medication from pills to shots. Happy Pets can also take your cat to the vet, groomer, and deliver pet supplies to your home. Please call to set up a “Meet & Greet” and free consultation with Lucinda in your home prior to your departure. 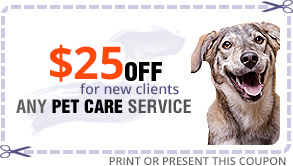 Happy Pets service areas include Carmel, Monterey, Pacific Grove, Pebble Beach, Seaside, and Marina.